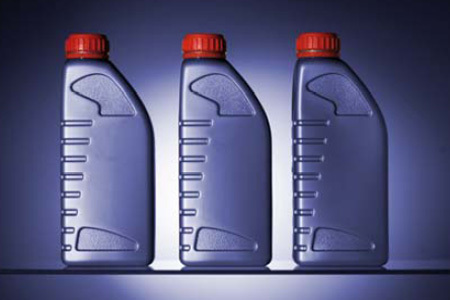 Robust and accurate viscosity measurement under harsh process conditions is essential to ensure the final product quality of lubricants when manufacturing and filling lubricant oils. Only a repeatable and accurate viscosity during product changes guarantees consistent product quality and safes production time. L-Vis 510 is an inline viscometer which is immersed directly in the production line. It displays the viscosity at the process temperature and reference temperature together with the current process temperature. In combination with the Anton Paar process density meter L-Dens 427, the density and viscosity will be measured and the kinematic viscosity will be calculated.